The paint on your vehicle not only serves as protection, but it also adds to its character and personality. 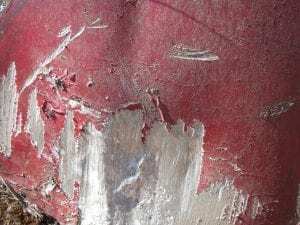 When the paint is scratched, peeling or rubbed off, it makes your car look unkempt and increases the likelihood of such further damage as rust. Whether it’s big or small, you shouldn’t put off auto paint repair. When something as simple as leaving your car exposed to the sun for long periods can cause paint damage, what hope do you have to avoid such problems? While there are certainly steps you can take, it’s unfortunately common for car owners to find random scratches, peeling and marks on paint. The good news is that all these issues are simple to fix, particularly when you use Great Plains Auto Body pain repair services. Paint technicians there match your car’s paint color so well you probably won’t be able to tell where the damage occurred. They can do this because they have ample experience and expertise to restore paint to its pre-damage glory. Regardless of the amount of your paint damage, get it repaired as quickly as possible to avoid further damage. Allow the paint pros at Great Plains Auto Body make such problems disappear like magic.